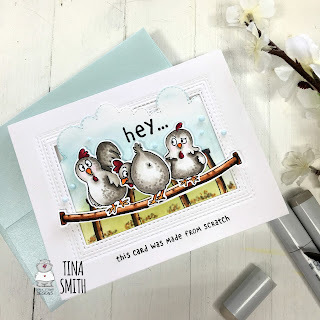 Looking for a fast and easy love themed card? Valentine's Day is just a few days away. It's crunch time! 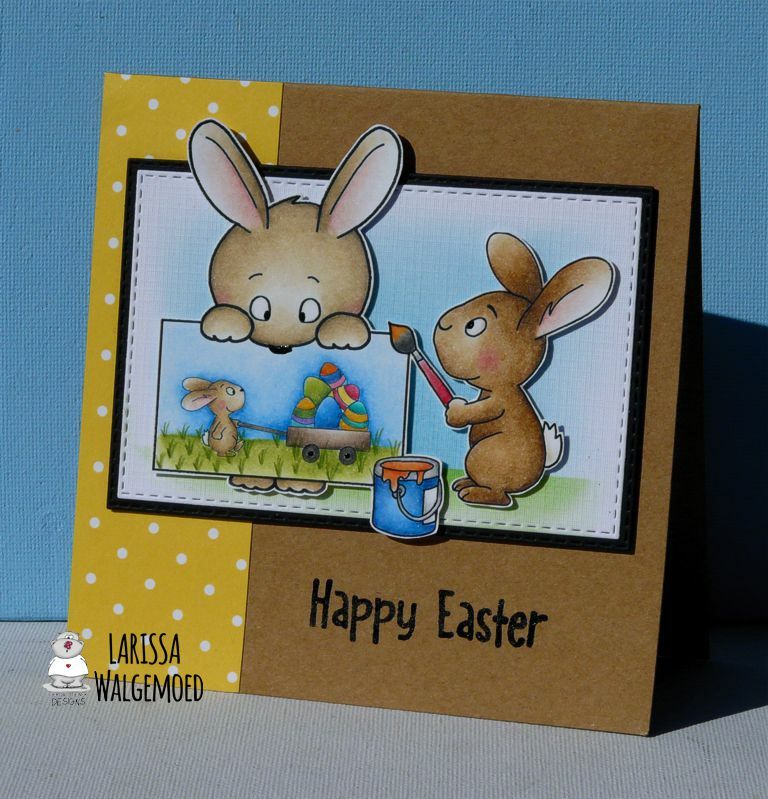 This card can be made in minutes and easily mass produced! 1. Stamp and color the Peas Be Mine stamp set then fussy cut. 2. Create a 4 1/4 x 5 1/2 card base. Use temporary adhesive and place fussy cut peas where you would like on the base. 3. Stamp sentiments. 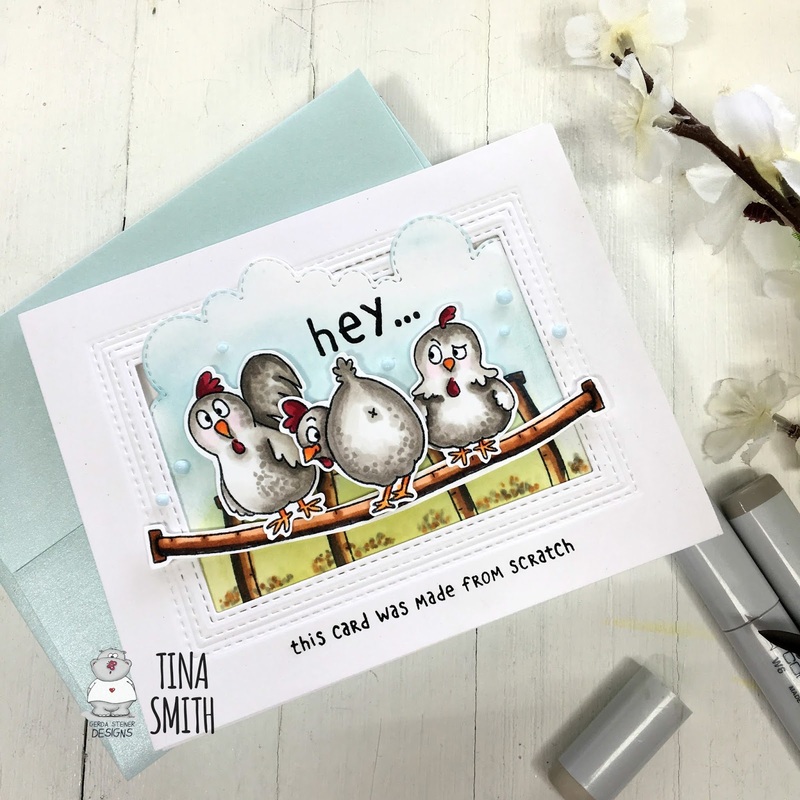 Remove the peas and use light gray markers to color a light shadow under where your peas will be on your card. 4. 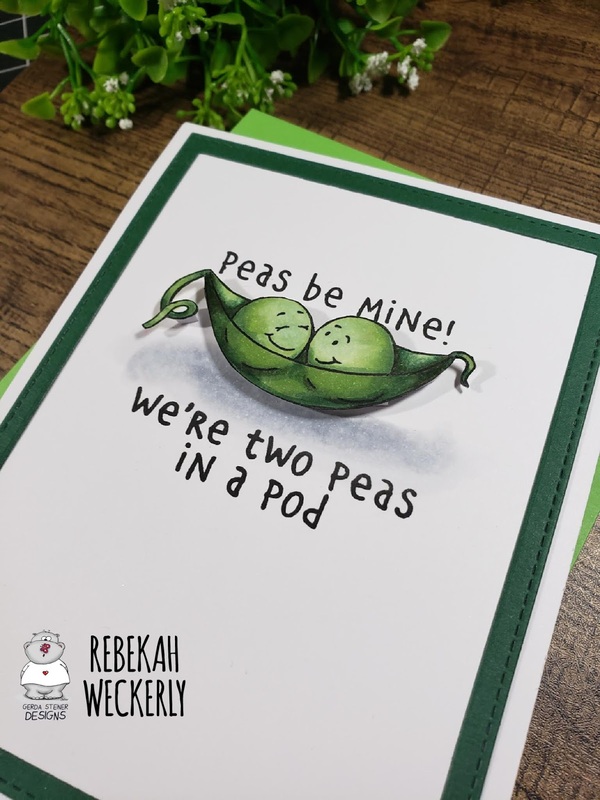 Adhere dimensional adhesive to your peas and attach to card. 5. Use two rectangle dies to create a frame and apply it to the card base. 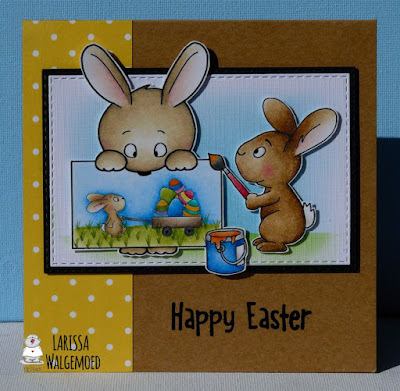 Have fun creating with this cute little set!